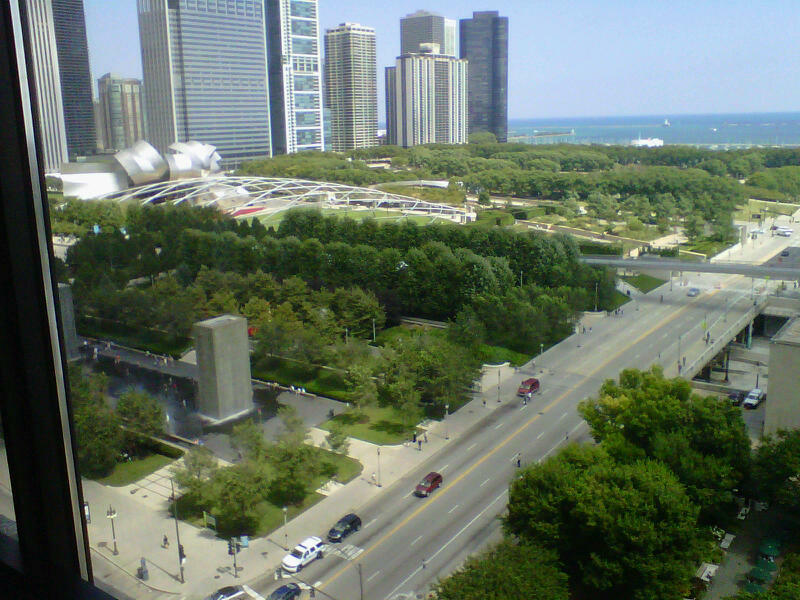 I have now begun life in Chicago (including being ejected from my first Chicago club), but fear not, I still have a few more, leftover LA posts to write. I wanted to do a quick post to celebrate my arrival in Chicago and plan on posting semi-regularly about my new city. I literally know no one in this city, which is why a familiar “face” was appreciated. 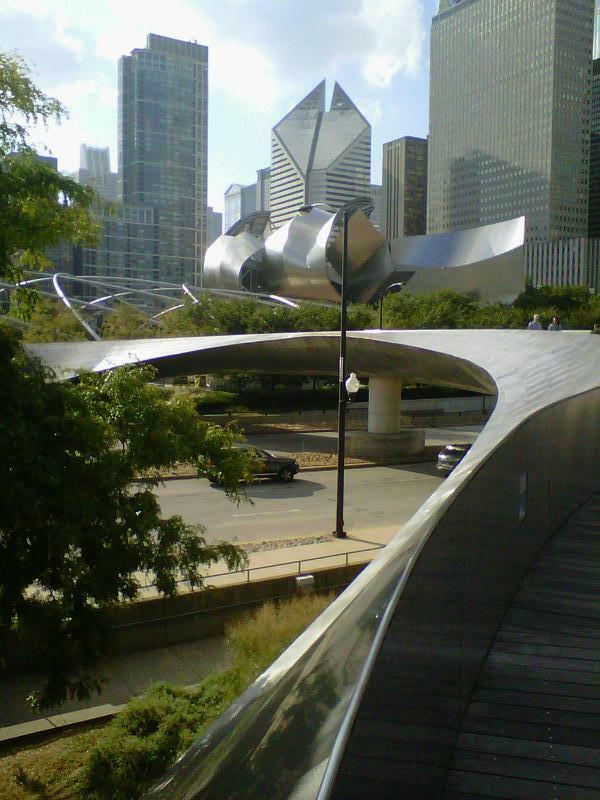 I’m talking about the Frank-Gehry-designed Amphitheater and Bridge in Millennium Park. I get to look out over these beauties daily, so be jealous. Who paid for this puppy? 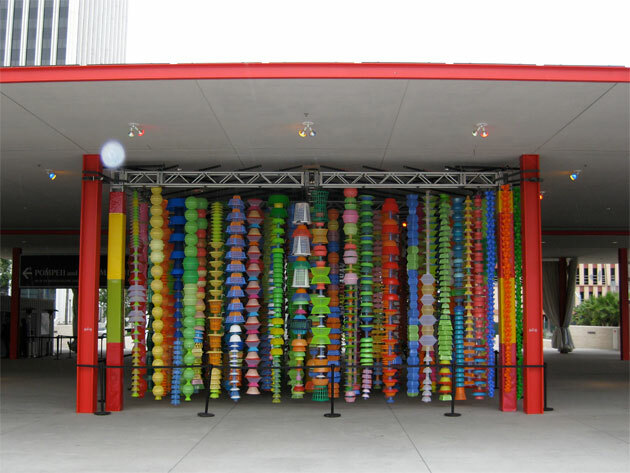 LACMA’s BP Grand Entrance installed with Choi Jeong-Hwa’s HappyHappy. I think it is tremendously important to be aware of the sources of funding for cultural projects and for cultural organizations to remain transparent about their sources of funding. BP is an evil corporation, obviously, but does that mean our cultural organizations are evil too? Should they be ridiculed for accepting buckets of ducats from less-than-kosher sources of funding? Let’s stop being so ignorant. The only reason museums and other cultural organizations turn to these sources of funding is because they can’t function alone from local and federal funding. The public certainly isn’t supporting these organizations either, so I don’t think the public is in a position to be so uppity about organizations taking money from Big Business. 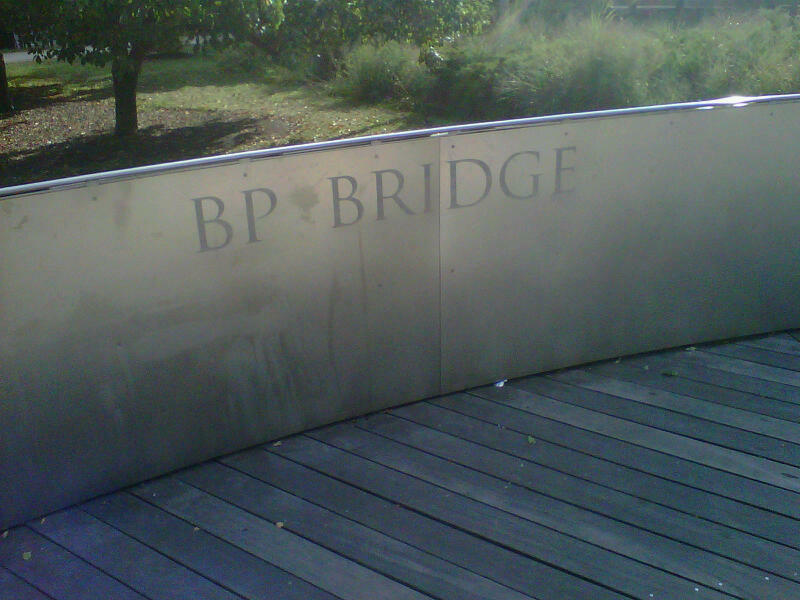 So I am going to enjoy my BP Bridge, but I’m going to enjoy it without be ignorant. I am conscious about the sources of money for cultural organizations, and can reconcile this: at least some of the billions of dollars made by the corrupt oil industry are going towards supporting the arts. It could be spent on other things. P.S. In other news, ExhibitionInquisition has now had over 10,000 views! Not bad for a project that started out as a homework assignment. Also check out this video (skip to 2:00) the music seems a bit extreme.